Ed Phillips will remain a Saint until at least the end of 2020. Ed Phillips made his debut on Saturday night against Fremantle. Ed Phillips will remain a Saint until at least the end of 2020. 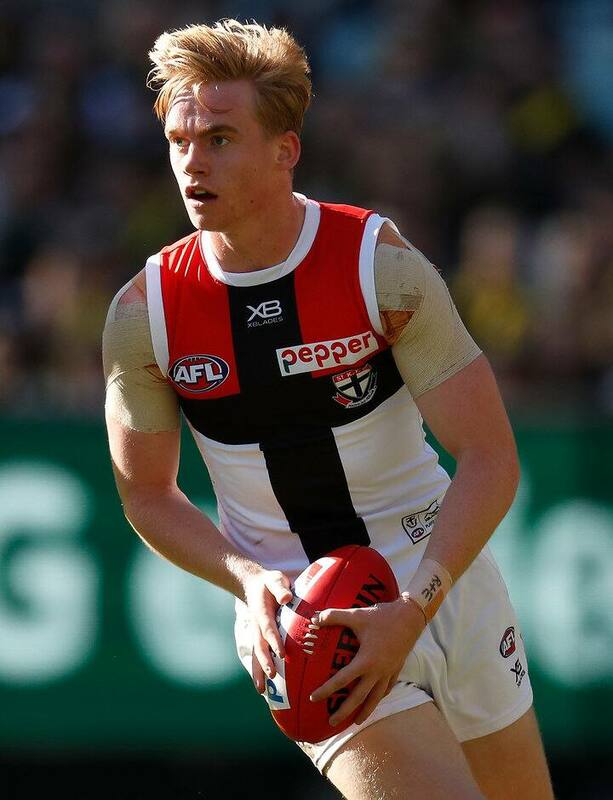 Exciting young midfielder Ed Phillips has inked a new two-year deal with St Kilda, which will see him remain at the Saints until at least the end of 2020. The hard-running wingman has impressed in seven AFL games in 2018 after making his debut against Fremantle in Round 8. General Manager of Football Simon Lethlean said Phillips had improved out of sight this season and looks a player of the future. “Ed’s improvement has been clearly evident to everyone at the Saints and we saw that rewarded with his debut earlier this year,” Lethlean said. “He is an endurance machine and has the potential to become a key part of our side in the coming years. Phillips said he was looking forward to more opportunities to represent the red, white and black. “I’m rapt to be signed on for a further two years,” he said. Phillips was selected with pick number 56 in the 2016 National Draft. Listen to St Kilda footy boss Simon Lethlean in the Drink it Through Podcast below.